We work with local cottage industry suppliers to produce the finest quality leather handbags, purses,clutches and other bags. These skilled artisans can transform any designer’s idea into a high quality finished product using the best raw materials and the highest level of craftsmanship. Our master leather artisans are able to interpret even the most complicated designs to form successful end products ready for export. Our manufacturing house employs all local people, creating jobs and imparting skills to the community. 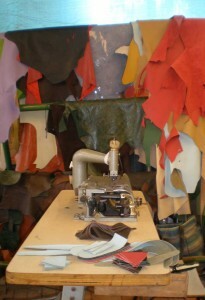 Leather hides of the finest quality are locally sourced.